David Huse, owner and wine maker of Five Star Cellars in Walla Walla, Wash., will be in the bar of Bistro One West (1 W. Illinois St., St. Charles, Ill.; (630) 444-0600) 5 p.m. Friday, Feb. 18 offering complimentary samples of Five Star Cellars’ superb wine selections. Five Star Cellars, depicting excellence and class, strives to produce quality red wines. Huse started a small winery in 2000 after discovering a passion through his involvement at another winery. 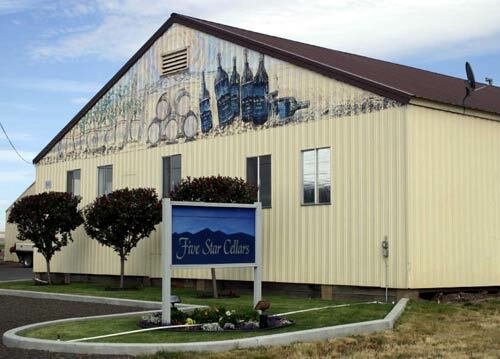 As popularity and production increased, Five Star Cellars developed their own site to include a tasting room. Five Star Cellars is a family-run business to include David Huse, his son Matt Huse and their wives Sandy and Traci. Matt Huse, a 2003 graduate of the Walla Walla Community College Enology and Viticulture Program, is dedicated to producing “Five Star” quality wine. Don’t miss the opportunity to try the delectable wines from Five Star Cellars at Bistro One West. Visit http://www.bistro1west.com/ to print a 20% off food coupon (Tuesday, Wednesday and Thursday only). Sign-up for the Bistro One West mailing/dinner club and receive a $10 off coupon. February weekly specials include Tuesday—half-priced wines, Wednesday—half-priced drafts and Thursday—(bar only) burger and two draft beers for $16.